After numerous moves, Anna and her family have settled in Edmonton, Alberta, Canada. 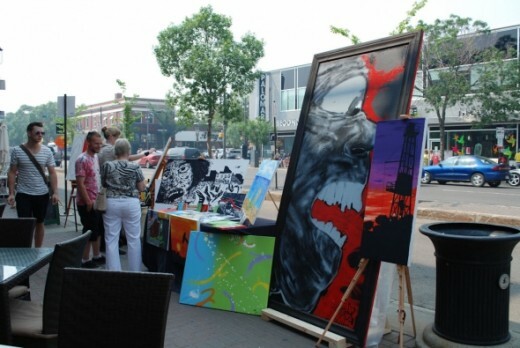 Here are some local events that make Edmonton special. One of the things I quickly discovered on moving to Edmonton is that this city is just bursting with incredibly talented and creative people! Visual artists, writers, actors on stage and film and music of all genres - all of these and more. It seemed like everywhere I turned, I was meeting some other fabulously talented person or group! 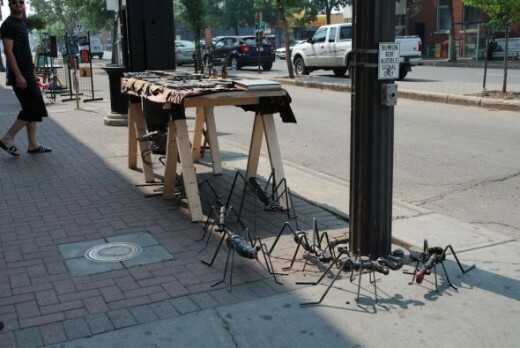 Nowhere is this talent showcased as accessibly or enthusiastically as at the Whyte Ave Art Walk. 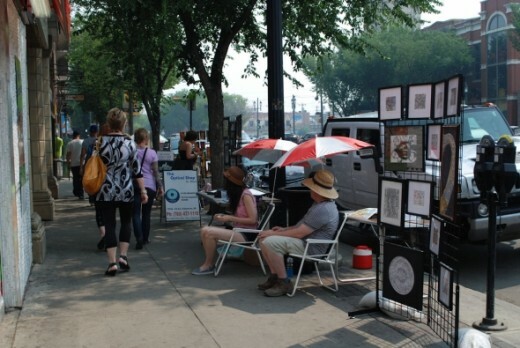 Held on the second weekend of July, the 2012 Art Walk covered 14 city blocks and two parks, making up a 4 km (more then 2 miles) walking tour, and featured almost 400 artists and artist groups. Beginning on Friday, it's three days of opportunity for artists and art lovers alike. 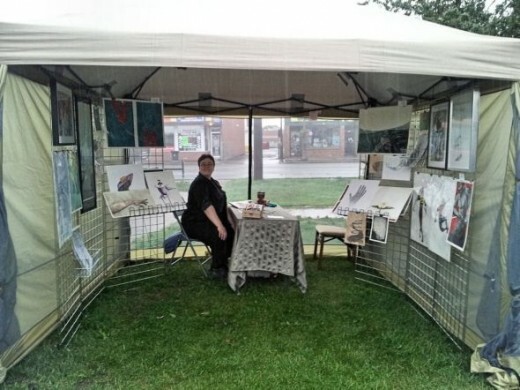 2012 was the third year my daughter has been selling her work at this event, and she plans to come back every year for as long as she is able. She's met some wonderful fellow artists, made some great contacts in the art industry, and had the pleasure of talking to some of the most fascinating visitors - and, yes, selling her work, too! It's an amazing event. Unless otherwise stated, the photos below were taken by me on the first day of 2012 Art Walk, using a Nikon D80 with an 18-55mm lens. I can't talk about the Art Walk without first talking about the amazing people who make it happen. Top of the list is The Paint Spot, the wonderful staff working there and, most especially, Kim Fjorbotten. She's just amazing! Kim has been involved with the Art Walk from the start, first as a manager of the store with then-owner, Tom Nolt, and now as the owner herself. 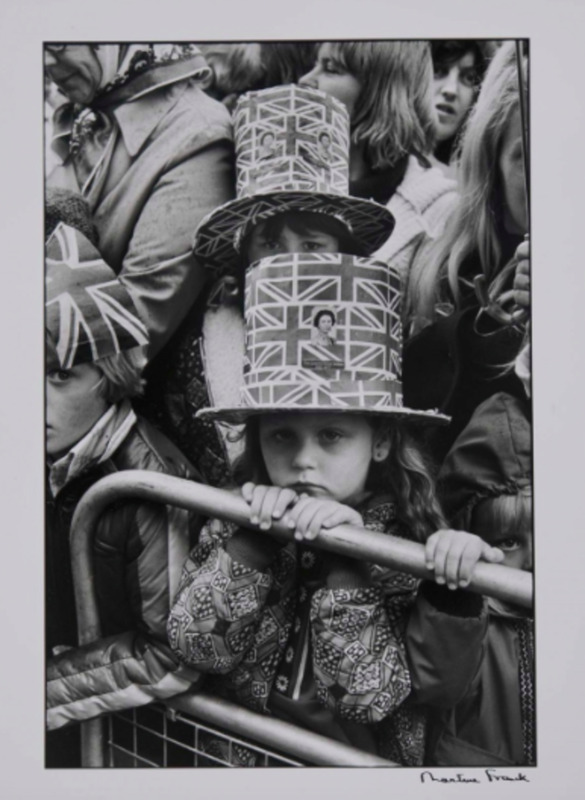 The event has grown from 35 artists in its first year, 1995, to over 400 artists in 2011! There were a lot of growing pains over the years, and many things learned. They had to develop a few rules and restrictions to make the event the showcase of original art it is today. Among these is a 60% original art requirement, which allows for a limited number of prints. There can be no mass produced items or resellers. Artists are also expected, as much as possible for their medium, to be working on their art during the event. The organizers provide an amazing amount of support, advice and information for the artists. I just can't say enough good things about them all! Of course, I can't forget to mention the amazing volunteers that keep things running smoothly. Not only do they keep things maintained, provide information and hand outs and answer visitor questions, they will also stay with artist displays as needed, giving them 15 minute breaks - essential for artists who are on their own. No artist wants to have to leave the fruits of their labour unattended - not even for the call of nature! It takes an army of people to keep an event like this running smoothly, and they are greatly appreciated! Where is Whyte Ave? - Location, location, location! In Edmonton, Whyte Ave is that street. You know the one! Every city has one. It's the street, and the neighbourhood surrounding it, that has the most unique shops, independant theatres, services, restaurants, bars, events, and where the most ... interesting ... people can be found! 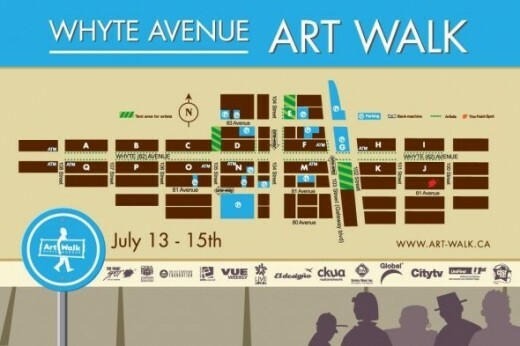 The Art Walk takes place in a stretch of Whyte Ave called Old Strathcona. There is a lot of Edmonton history here, too! Edmonton has a numerical street system, so Whyte Ave is also 82nd Ave. 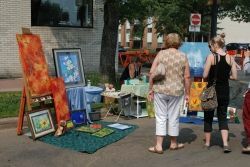 Many of the artists are set up on sidewalks along both sides of Whyte Ave, a number of side streets, plus there are spots in Iron Horse Park and Wilbert McIntyre Park (also called Gazebo Park). For 2012, a block of 105 St was closed down as well. The park areas have 10' x 10' spaces available for those artists that have tents. The map shows a number of areas where there is parking available. There is also meter parking, and there are quite a number of buses that run through the area, as well. What kind of art to expect? - Oil, acrylic and watercolour paintings, sculptures, mosaics, one-of-a-kind jewelry and more! 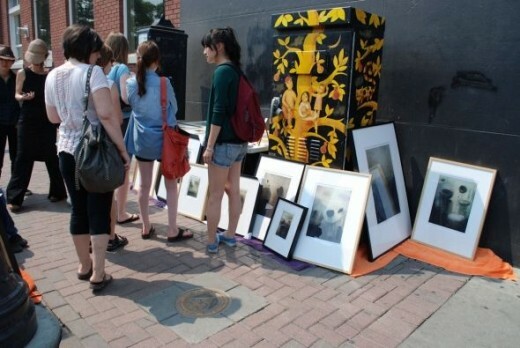 Art is in the eye of the beholder, but out of necessity, Art Walk organizers have had to place some limitations. The most important thing about the art you'll see is that it is original art, with the exception of a limited number of prints of original art. 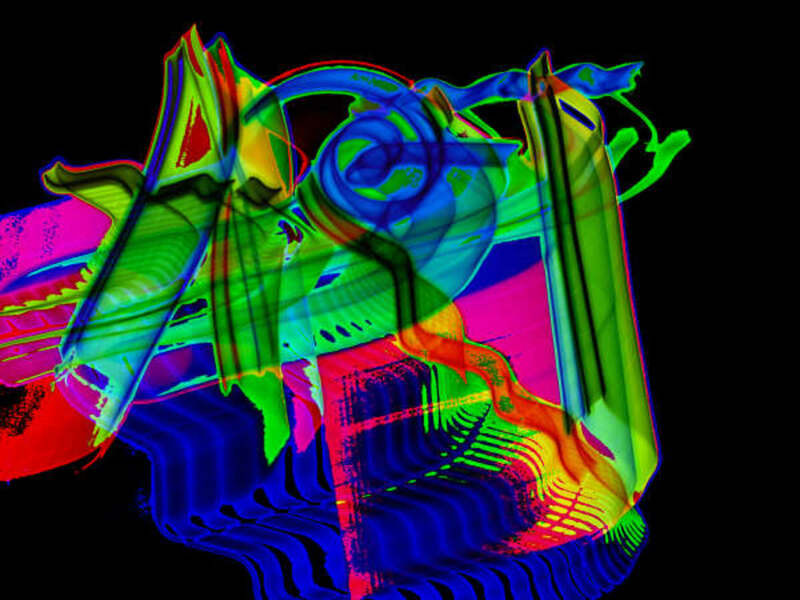 Any photography has to be modified in some way to make it original art. 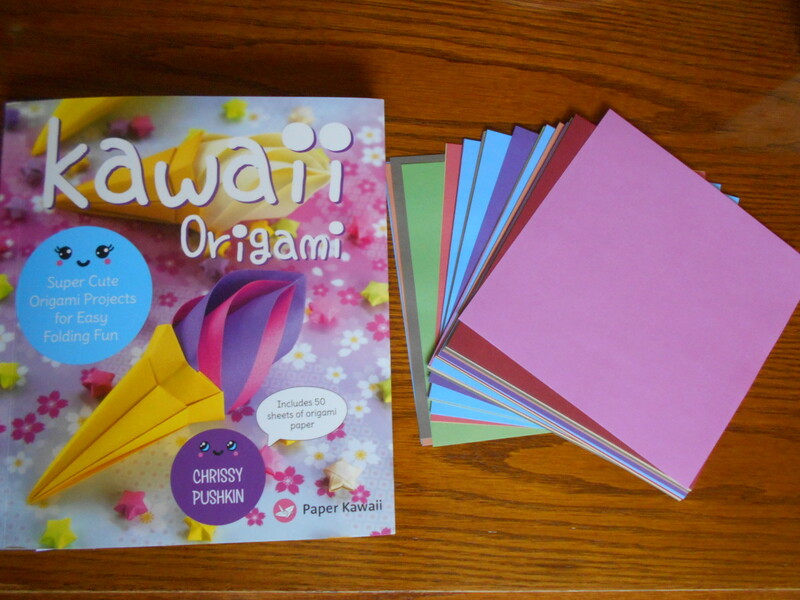 Crafts are not included. So what types of art will you find? More then I can list, but I'll give it a go! You will, of course, find fine art paintings. Kari Fell, pictured here, is one of my favorite artists. 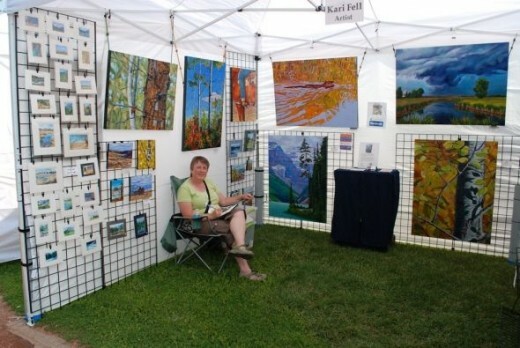 She works mostly in acrylics, as well as watercolor. You'll also find oil, watercolor and airbrushed paintings, and quite a few that mix techniques. And then there were the mixed medium pieces that just don't fit into any one category! As all the artists are expected to be working on pieces during the three days (at least as much as their type of art allows - obviously, no one was going to be welding metal sculptures on site! ), visitors get a first hand look at how the art is produced, and talk directly to the artists about their methods, their inspiration or whatever else comes to mind. This is a great way to learn just how much time and effort goes into the pieces produced! Of course, I can't talk about the Art Walk without mentioning my daughter! 2012 was her third year participating, and it's been an amazing experience. She works primarily in watercolour, and you can see scanned images of her paintings on her DeviantArt page. I am so very proud of her! 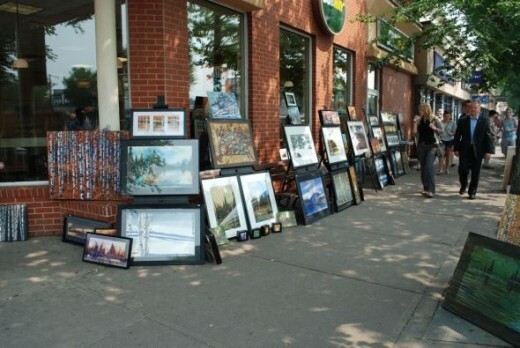 Pedestrians enjoying the work of several artists along Whyte Ave. Even some very large pieces were available. 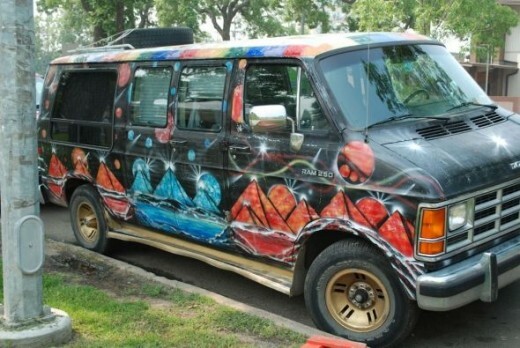 Even the vans are artistic during the Art Walk! Along one of the side streets. ... or adding to it. It's been a great pleasure talking to Kim Fjorbotten and the wonderful staff at The Paint Spot about the Art Walk. There is so much interesting background! One thing I learned really fascinated me. A lot of people have said that they bought their first piece of art ever at the Art Walk, and that most of them went on to become life-long collectors of original art. Many also come back every year, seeking out their favourite artists to add to their collection. One thing to remember when buying art is that the artists there are not just artists - they are business people, too! Their prices have to reflect the cost of materials as well as the time and effort it took to make the finished pieces. 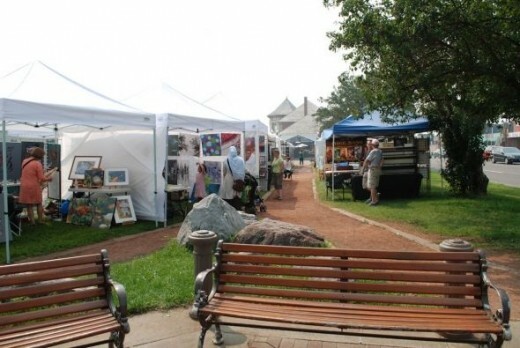 Some artists travel to events like this throughout the summer months, as it's their primary source of income. 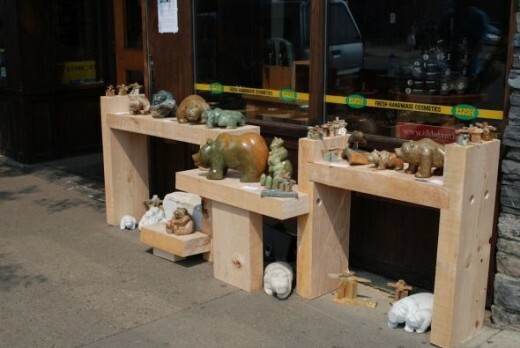 Others present their work for sale only once a year at the Whyte Ave Art Walk. Collecting art isn't just for the wealthy, but be aware that producing art is hard work. Would I recommend this event? Yes, absolutely! The sheer variety of art styles is amazing, and there's sure to be something to appeal to all tastes and budgets. It's wonderful to be able to talk to the artists one-on-one, and support some amazingly talented people. It is well worth taking the time to check out. 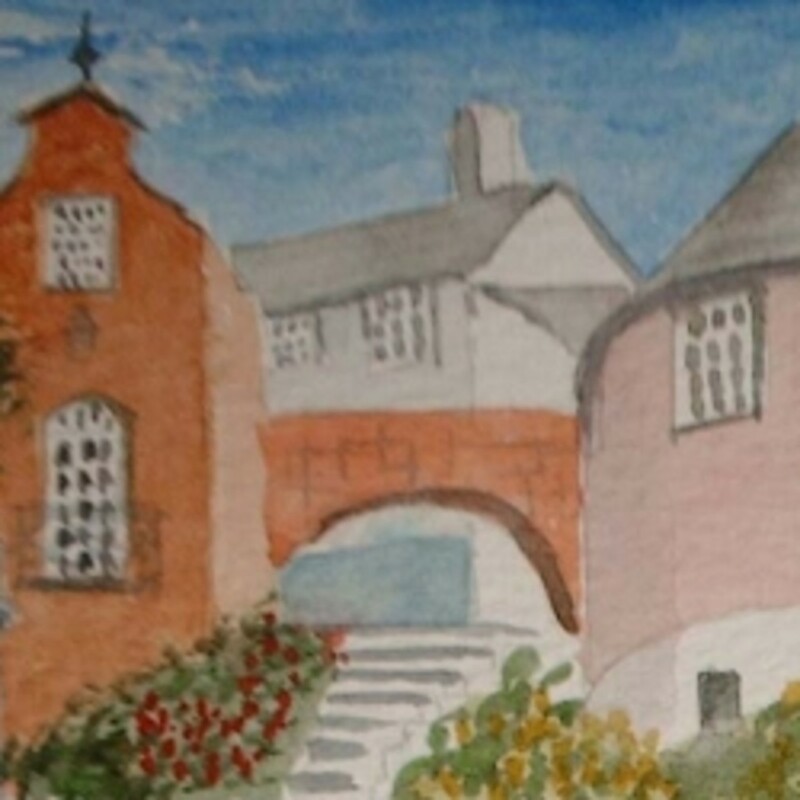 For budding artists, this is also a great venue to begin showing your work - many artists began their professional careers here! Not only is this a great place for individuals to collect original art for their personal use, many corporate buyers pick up original art to decorate their offices and public spaces. 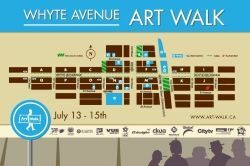 It's also a great way to get to meet other artists to network with, and a number of gallery and magazine representatives visit the Art Walk, looking for new talent for their niche. 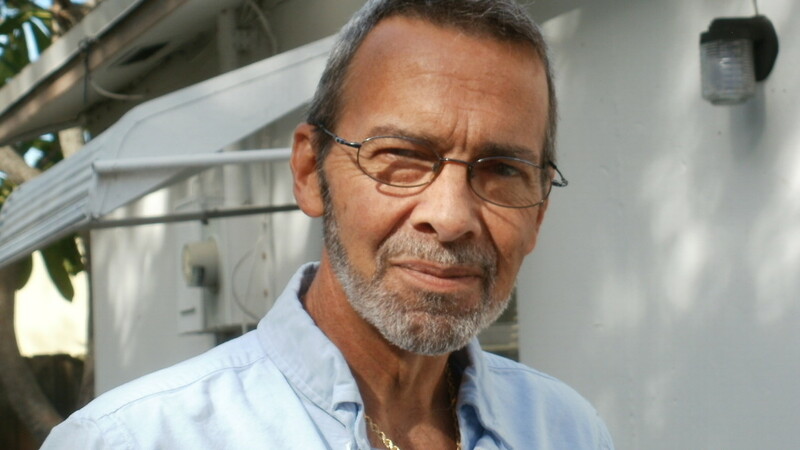 Are you an artist as well, or a collector of original art? Yes, I am a professional artist, and my home is filled with art. Yes, I am an amateur artist, and love art of all kinds. No, I am not an artist, but I do collect original art. No, I am not an artist, but I wish I were! Art is not my thing. Velvet Elvis and dogs playing poker, for the win! You Can't Miss the Second Saturday Art Walk in Sacramento! What do you think? - Feel free to leave a comment. Looks like a fun event. We have Artscape in Baltimore. It's fun, except for the madding crush of people. Thanks for the lens. This is Edmonton, Canada, right? I don't really know if that is close to the US. If it is, this would be a nice place to visit for a little trip. This looks really interesting. My daughter is an artist (married to an artist), so I understand how proud you are of your daughter and her artistic ability. 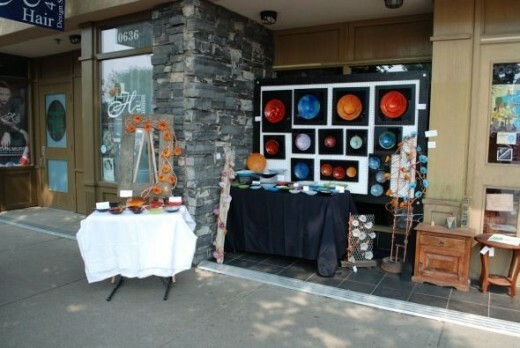 You have done a wonderful job reviewing the 2012 Whyte Ave Art Walk. Our 'that street' is River Street here in Savannah (located along the Savannah River and filled with unique shops, restaurants and events like 'First Saturday', an artistic event held every month on the 'First Saturday'. 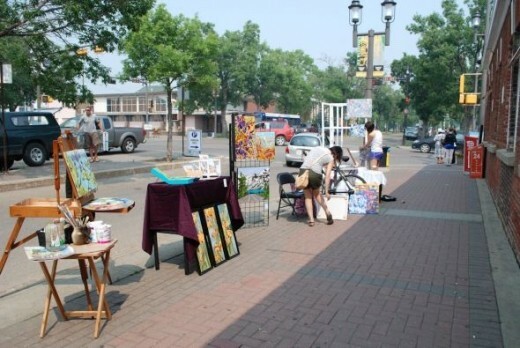 :) I REALLY enjoyed your description of your Whyte Avenue Art Walk!